Welcome to the Shamrock Lodge Apartment, your Olympic retreat. 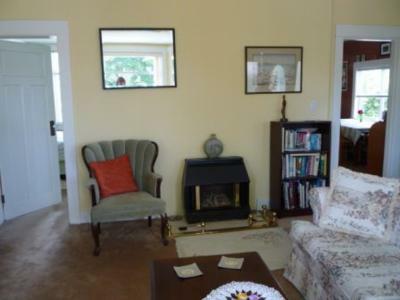 The apartment is approximately 800 sq ft and is located in an older character home. 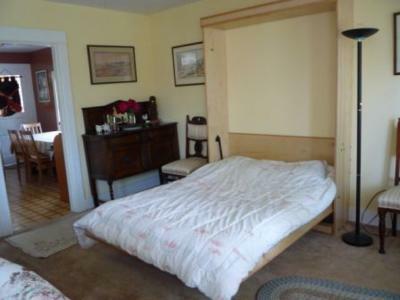 It consists of one large bedroom with a double bed and a double wall bed in the lounge so it is suitable for a family. Enter the suite from the outdoor deck and walk into a large, open lounge dining area. The bathroom is an ensuite off the bedroom and has both a bathtub and shower. 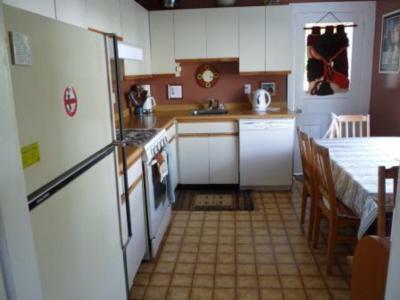 The kitchen is a nice size and has a gas stove, dishwasher, fridge and microwave. 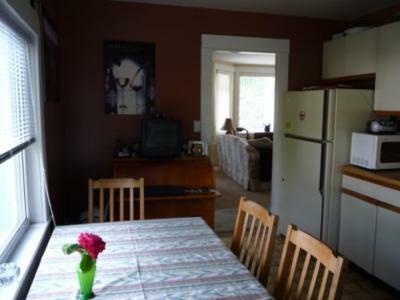 All the appliances have been recently replaced and there is a good selection of utensils, dishes, pots and pans. 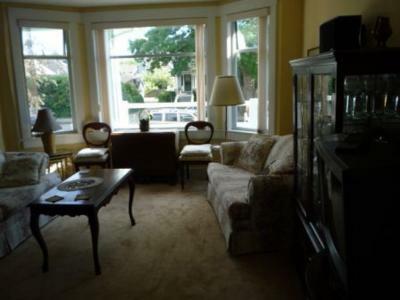 The large kitchen table can seat 6 comfortably and the dining area in the lounge can also seat 4 to 6 people. 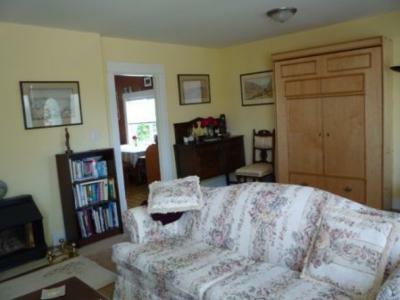 The whole apartment has a light and airy feeling and is tastefully painted and furnished. 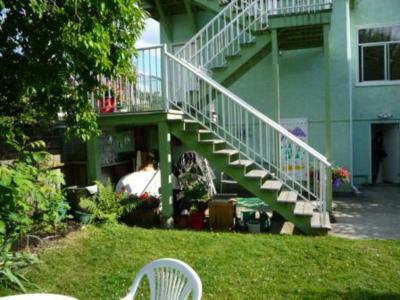 There is a back hallway leading to a deck with a barbecue and pleasant back garden. 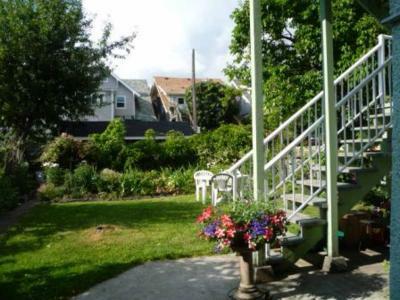 The parking area is located at the end of the garden and can be accessed by the side laneway. 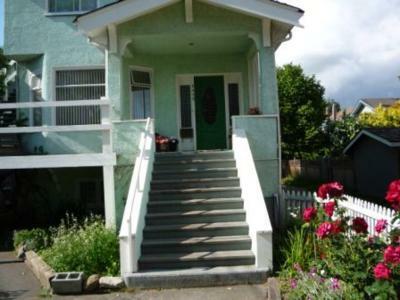 This unit is centrally located in Kitsilano in a quiet family neighbourhood. It is 10 minutes drive from downtown Vancouver and is serviced by 3 very frequent bus routes with connections to the 3 Vancouver Olympic venues. There are many good ethnic restaurants, wine bars, pubs, and grocery and produce stores within walking distance to the apartment. 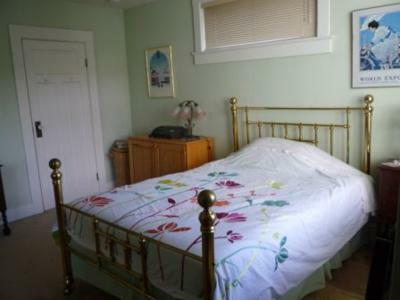 There is a double wall bed in the living room.